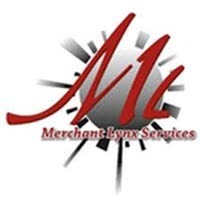 Mechant Lynx Merchant Services is a company based in Annapolis, Maryland, although they have several offices across the country. It resells iPayment for transaction processing and uses First Data for its equipment leases and sales. Honestly, it’s difficult to find a lot of good things to say about Merchant Lynx services. They offer the standard complement of services that any merchant services company should, including merchant services software, debit and credit card processing, gift and loyalty programs, check guarantee, payment gateways, POS equipment, and EMV support. However it doesn’t do any of these things as well as the companies it is sourcing from, or even the other ISO’s it is competing against. There are almost too many complaints against Merchant Lynx service to count. The biggest problem seems to lie with the sales and marketing, which is done by independent third-party sellers. The result of this is that some customers have complained they were not made aware of a number of the fees and limitations that the agreements contained. The equipment leases that they offer are well outside the standard industry rate, and their PCI compliance fee is a nearly unbelievable $159. Merchant Lynx contracts run for 48 months and are non-cancelable, so no pay as you go merchant services here. There is an early termination fee of $495, which is one of the biggest in the industry. There are more complaints for Merchant Lynx with the BBB than nearly any other merchant services provider that is worth reviewing. You should probably look elsewhere for merchant services. Merchant Lynx does not have the reputation, rates, or service that would allow anyone to recommend them. There are a large number of expensive hidden fees and the contracts are incredibly draconian. Look for other ISO’s offering First Data or iPayment if you’re even thinking about using Merchant Lynx.